I know that my title sounds a bit daring, committing myself to using labels like “best….” but life is too short and when you have these wonderful experiences God throws at you, don’t restrict yourself to holding back and waiting for some other moment that may never come. So, after my philosophical rant, what do I mean ? I don’t think I’ve been this excited about visiting a cafe since Prufrock – see here. A bit of background – as holiday planner in charge; I was asked to find a nice English city to visit with other family members this past summer and initially we thought about Cornwall and what sprung to my mind was cornish pasties (if you’re not English, these are like a specialty short crust pastry pies filled with meat or veggies) and scones with clotted cream ( a cream typical of only this part of England), but whilst I had no aversion to these classical English cuisine gems, I thought if we’re are going to a place for three days, where will I get a great cup of coffee from. After some searching together with some cute boutique hotels, I wasn’t impressed – sorry Cornwall. So, I thought where else would I love to go, Bath – we’ve always wanted to go there, so why not now and suddenly like a flash I recalled that one of the cafes that I’ve always wanted to go in the UK, but never got the chance, was located there – Colonna & Smalls. Sold to the coffee lover! 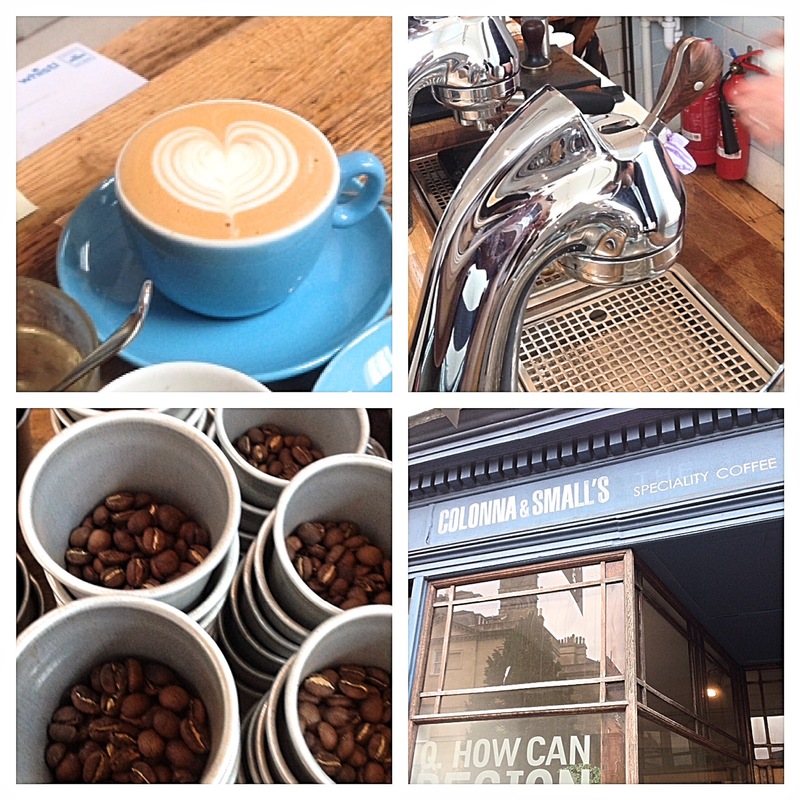 Before visiting, what did I know about Colonna and Smalls ? 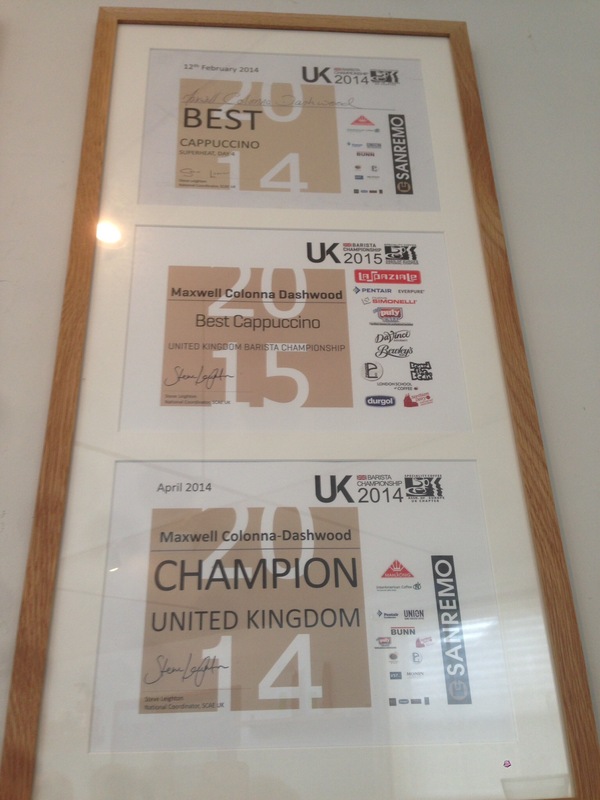 Owned by Maxwell Colonna-Dashwood, two times UK barista champion, I had many times about his contribution to the UK coffee science, having read about him many times, mentioned by the coffee celebrities many times over. 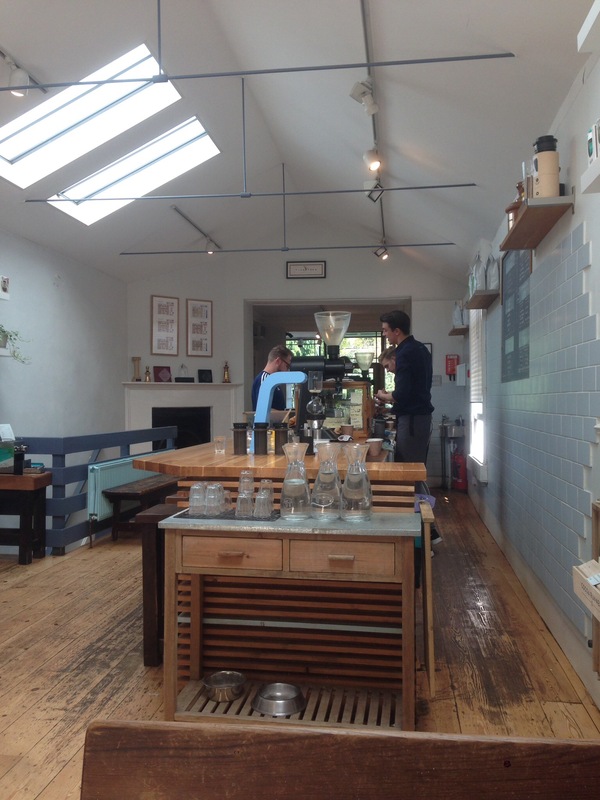 when my brother visited many months ago, he asked me “where should I go for coffee” and I only had one answer; “Colonna and Smalls”. Before visiting I sent Maxwell a tweet and he replied very quickly mentioning that he was looking forward to me visiting. We got into Bath on a late Sunday afternoon and I found out that their shop was already closed. I found another cafe, ordered my flat white, which was nice and asked them where else they would recommend – there was only one answer and they were like”that’s another type of level” even though I knew that on Monday my first visit would be Colonna & Smalls. And so it was. As you enter, it’s like you’ve waiting many years to enter this emporium – a homage to coffee. I’m not going to go into details about the decor, but just the experience; I had to ask this at the back of my mind “do people in Bath know how lucky they are to have this cafe in their city?”. As you walk to the back of the shop, there are books authored by Maxwell, his UK barista championship trophies and other trophies awarded to his staff, who are also well decorated (see their website for more, UK latte art champion, etc). As you walk towards the brightly lit back of the shop, where all the action is located – there’s this oozing calm and air of professionalism, rarely found in other cafes – they are not here just to sell coffee but to make sure you have a great experience too. Then I noticed that there was no “typical” espresso grinder in place. What’s going on? The Mahl Konig EK43 – something I have only really seen at cafes when they grind for filter coffee. In summary the debate says that using the EK43 (not built for grinding for espresso but ideally for spices and perhaps for filter coffee) not only minimises waste because you grind per cup but also that it grinds very evenly with little differentiation in grind size – this means that you can even lower the amount of coffee you use – they use about 16.5g as opposed to the industry average of 18-20g (I usually ask) which should result in a better tasting espresso. After all, most coffee aficionado fell in love with coffee through the espresso. In any case, there’s a few top cafes who were converted to do this avant garde way of grinding and hence brewing coffee and of course Maxwell is one of them. Second, it was great to actually meet Maxwell himself. Usually when you visit emporiums of coffee, the owner or main driver is always not around, tending to some other business or on holiday – the one exception was Cameron of Flat White many moons ago. He was very welcoming and we talked about coffee (of course), their philosophy – they usually offer about three coffees per brew type; filter and espresso, where you can be guided by taste profiles. 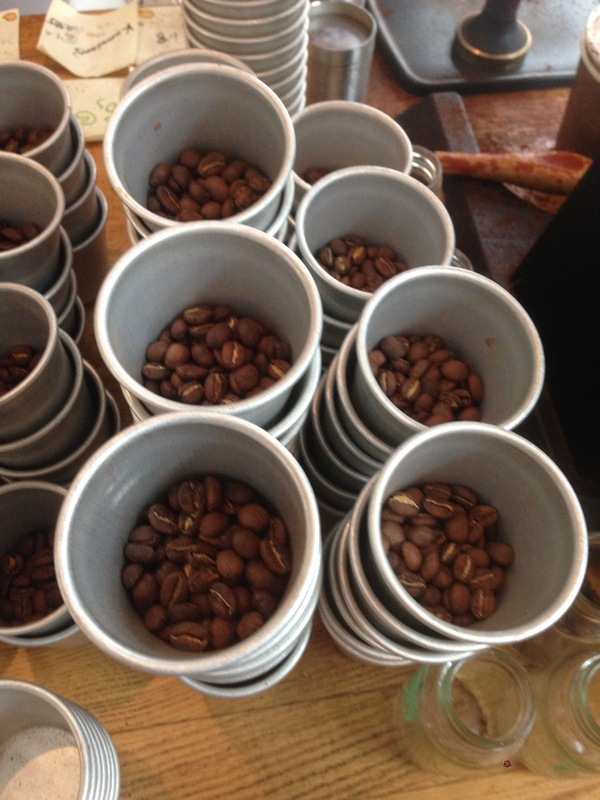 They try and source the best coffee that fits their preferences, so for example, surprise surprise for me, they roast for capsules – yes, you read that right. You can buy nespresso capsules roasted by one of the finest coffee roasters in the UK – I bought a box of 10 for my brother who has a nespresso machine. As they roast their own coffee in a town outside Bath, they can easily experiment with taste profiles for many styles – visit their “other” website for more about their coffee, see here. If you visit there are quite a lot of their coffees on sale and feel free to ask them for guidance. They even have a booklet on explaining their coffees and brewing methods. I opted for a flat white with a fruity profile – well balanced even with the milk, reminded me of hints of toffee like my coffee had evaporated milk added. On my second visit I went for a more “nutty” profile. I was really intrigued by their unique way of making Americanos but sadly I wasn’t able to make it – I thought it best to avoid the wrath of my mum and wife as my plan was to make colonna and smalls my last stop before catching the train back to London, but alas for next time God willing. One more techie thing – the mod bar. I actually missed this new innovative way of brewing espresso because on my first visit I was so excited to meet with Maxwell, I didn’t go behind the bar to check what type of espresso brewing equipment they were using. On the second visit, as I had more time, I relaxed and had time to chat to the baristi and then I was introduced to the mod bar – short for modular brewing system. 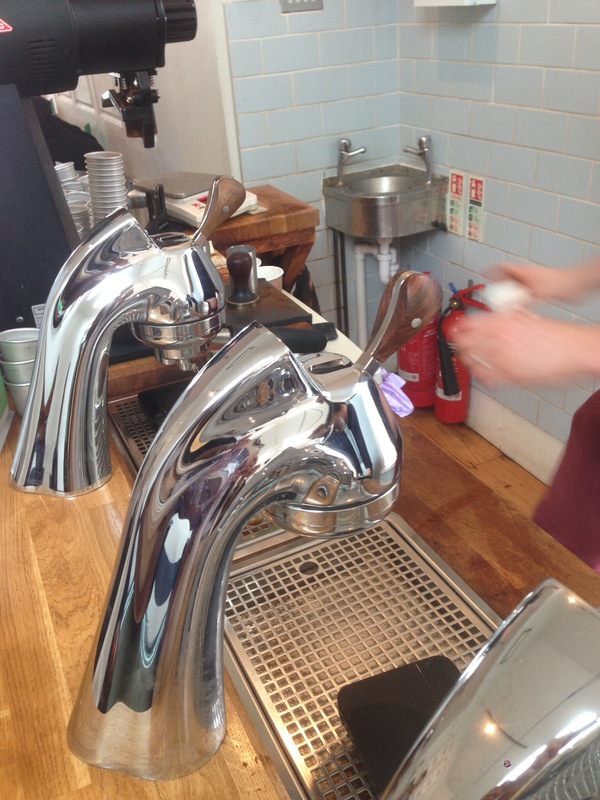 Each Espresso Module controls one tap. Retailers have an opportunity to dial each Espresso Module to fit a different coffee. And they have options galore in how they fit the Modules to their retail set-up. From what I saw, it looks fabulous – it’s like the next level of brewing espresso, where you can change the profiles using a button or touch screen per group head – state of the art – even though I am aware that the Slayer Espresso machine can do this provided that you are a very talented barista. At Colonna all the baristi have some kind of award so the skills are there but the fact that the mod bar group asked them to test it means something too. As I left, I fell like a boy being dragged out of a toy shop, but I was after all in Bath to see other things and spend precious time with my family. One more thing. 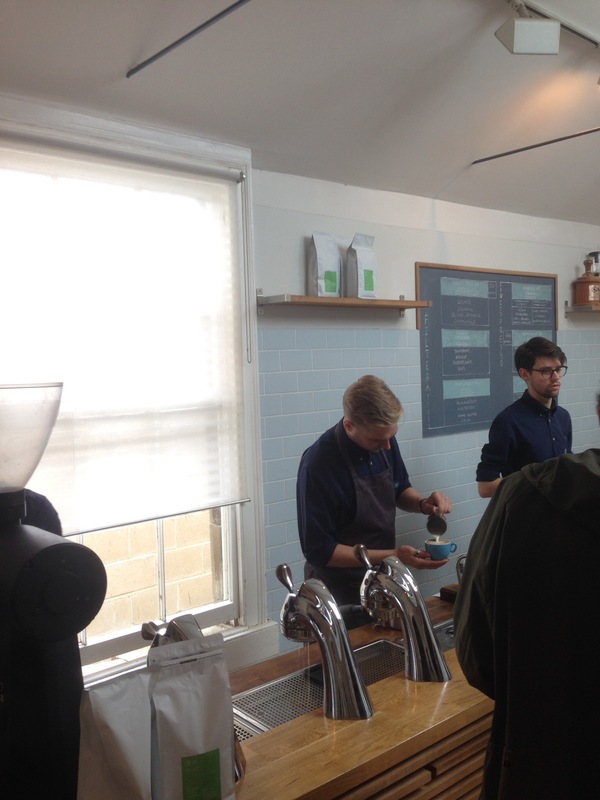 It was really impressive to watch the barista prepare aeropress. He poured the freshly ground coffee into the aeropress capsule, poured a little bit of water, shook it around vigorously but carefully and as he did it, it bloomed and doubled in height, after which he poured more water, covered it and waited for it to complete the brewing process. I wished I filmed it so you can see what I meant, but it was really impressive. 6 Chapel Row, Bath, UK. 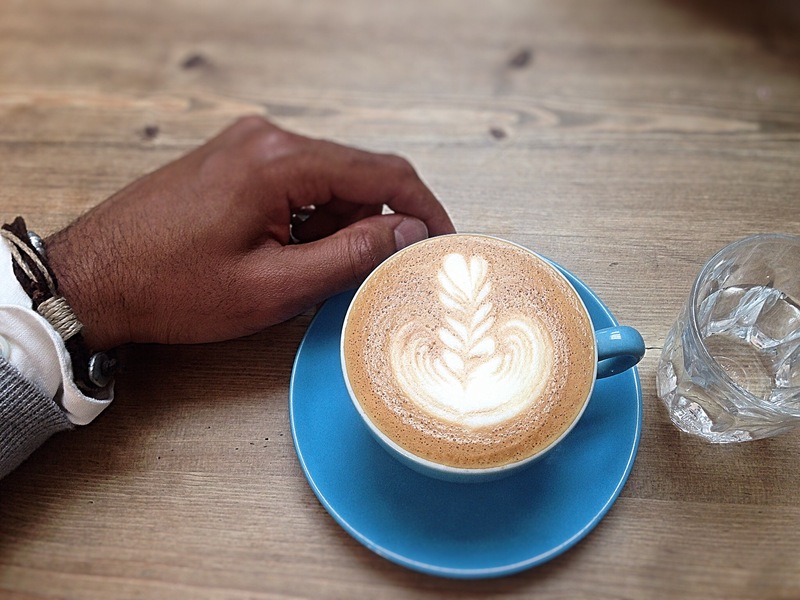 My next post will be on drinking coffee in Bath – a beautiful city with tons of coffee culture.